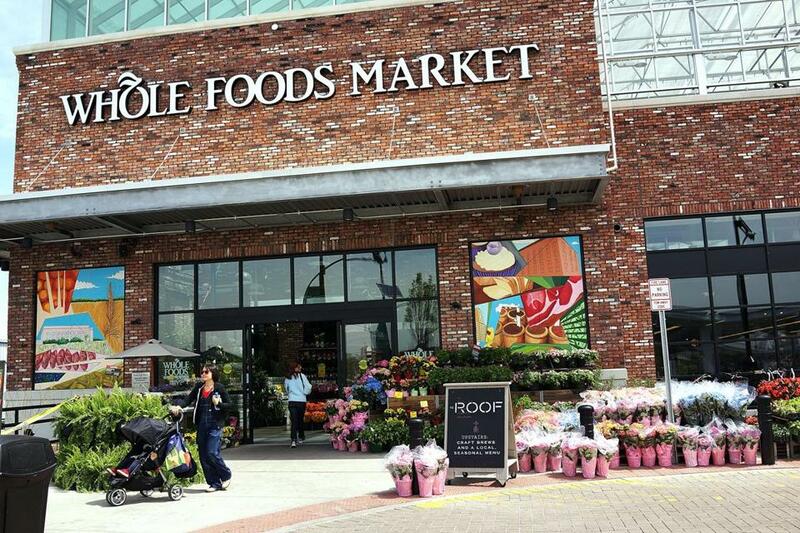 A lawsuit filed in California alleges that Whole Foods meats aren’t as humane as they claim. The company hasn’t responded in court, but cautioned that PETA has ulterior motives. In green, air-conditioned aisles at stores across America, the welcoming signs beckon. Yes, customers may be buying meat -- and there’s no denying that meat is dead animals. But these animals, it seems, are raised and killed humanely. That beef, chicken, turkey, or pork in shoppers’ baskets isn’t necessarily inconsistent with "animal welfare." Right? Isn’t that what Whole Foods customers are paying for? At the chain -- not-so-affectionately nicknamed "Whole Paycheck" -- many fork over top dollar for meat raised with animals’ well-being in mind. The store even has a "5-Step Animal Welfare Rating" system. But, in a class action lawsuit filed in California on Monday, a well-known animal rights group alleges that the grocery chain’s attempts to monitor how its suppliers treat their animals are a "sham." And that its customers are paying for it. "When a grocery store’s standards for improved animal welfare are not actually enforced or do not require meaningfully better treatment for meat animals compared to the industry standard, consumers are deceived into paying a higher price for meat that fails to offer the benefit they seek," the suit against Whole Foods, filed by People for the Ethical Treatment of Animals in US District Court in Northern California, read. The suit zeroed in on Whole Foods’ “5-Step” system. “Step 1” is the lowest rating for suppliers who want to be certified: “no cages, no crates, no crowding.” “Step 5+” is the highest: “animal centered, entire life on same farm” with extensive outdoor access. "The entire audit process for Whole Foods’ animal welfare standards is a sham because it occurs infrequently and violations of the standards do not cause loss of certification," the complaint reads. ". . . Standards that are not actually enforced create a false impression of ensuring a more humanely treated, higher quality animal product -- when in fact they ensure no such thing." PETA alleged that Whole Foods audits suppliers just once every 15 months; that violators do not face repercussions; that the standards "barely exceed common industry practices”; and that Whole Foods extracts a premium from customers under "false advertising." "This is about Whole Foods misleading consumers that are buying meat," Jared Goodman, director of animal law for PETA, said in a telephone interview. "These are individuals who might make the decision not to buy meat. Whole Foods offers programs that give them impression that it is okay." A representative for Whole Foods said that the chain was not yet ready to respond to the complaint, but cautioned about PETA’s motives. "We are aware that PETA has filed a suit against us in California, but have not yet been served," Whole Foods spokesman Michael Silverman wrote in an e-mail. "It is important to remember that PETA’s mission is a total end to animal agriculture and their claims against our business are generated with that specific goal in mind." Leah Williams, a named plaintiff in the suit, said she is just "an ordinary, everyday housewife" from Monterey, Calif. She doesn’t expect to get money from the suit, she said. She wants to get what she pays for when she shops. "If a supermarket represents themselves as selling humanely raised food from local farms, then that’s what I expect," she said. She added: "I don’t buy meat at Safeway." In the suit, PETA asks the court to prevent Whole Foods "from continuing its unfair and deceptive business practices" and "restore to Plaintiff Williams and members of the Class any money that Defendants acquired by unfair competition." PETA’s broadside against the chain came a day after it released video -- cited in the class action -- of alleged pig abuse at a farm in Pennsylvania that supplies about 20 Whole Foods outlets in the Philadelphia area. The allegations hit a chain that is already struggling with disappointing earnings and the aftermath of an overcharging scandal. "Whole Foods has . . . pushed this myth of so-called ‘humanely raised meat,"’ Dan Paden, an associate director of evidence analysis at PETA, said after the video’s release. "People who do care, who are well-intentioned, are led to believe that they are buying meat from animals who lived happy lives. And these pigs did not live happy lives." After an investigation, Whole Foods stood by the farm featured in the video. "We made a visit to the farm within hours of being informed about the PETA video to evaluate farm conditions and practices with our own eyes and gather the facts," Silverman of Whole Foods wrote in an e-mail. "We found that the farm conditions were in-line with GAP Step 2 certification." He added: "No other grocer has done more than Whole Foods Market has to help move an entire industry toward higher levels of quality and improvements in animal welfare."